Spendwise Moms: Living Well on Welfare: Can You Feed Your Family for $4 a Week? Living Well on Welfare: Can You Feed Your Family for $4 a Week? I posted this video a long time ago, but wanted to post it again for those who didn't get the chance to watch. There is a lot of satisfaction in finding a way to feed your family well in the amount of money you have. A lot of people have been complaining about cuts in welfare benefits, but I believe it is better to use that energy to find ways to stretch your dollar instead of complaining about having less. Using coupons is one way you can do this and there are lots of websites out there to get you started on your way if you are interested. A few years ago, I decided to try using coupons to see if it made a difference. I did save a lot of money, but we don't have stores in my area that double coupons so I couldn't do as well as the lady in the video. Another thing you can do is to watch Extreme Couponing to see how others use coupons successfully. Sometimes they have clips of Extreme couponing on youtube.com which are free to everyone. Just don't get too caught up in the free items and get a lot of things that aren't good for you. 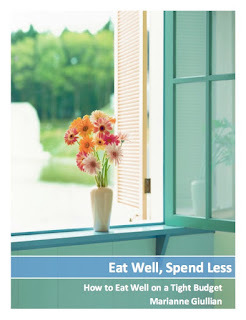 If you can stay within the food budget that you have, you will have money freed up to use in other areas. You don't have to buy a newspaper to get coupons. Ask neighbors, local coffee shops, etc. for their coupon inserts if they aren't going to use them. It takes a couple of hours a week to use coupons like the lady above in the video, but if you have the time, it could really pay off.